We can service your aquarium twice weekly, weekly, bi-weekly, or monthly. We will visit your aquarium tank with a free consultation to establish the best aquarium services for your tank. If you have ever wanted a dream aquarium, Profishionals are here to help! With access to dozens of manufacturers and fabricators in the southwest, we can create a high quality design in your home. Moving is never fun, especially a fish tank. We realize it can be stressful so we offer competitive pricing to safely move your aquarium. LV Profishionals gets a 5 star rating! I've been using their services for the past 10 months, and they are punctuation, professional, efficient, and take responsibility for any problems. I once had water leaking from my 125 gallon tank on a Sunday morning and one call to Justin the owner netted me a professional carpet cleaner and Justin came to repair the problem in less than 2 hours. Fantastic job accomplished and Justin did next day follow up plus definitive repair. I found LV Profishionals online and the quality of their services compared to the company I was using was like Night and Day!! If you want quality and professional services, use this company!!! I have been using Las Vegas Profishionals for over a year to service my saltwater reef tank. Justin is very knowledgable about both fish and corals and is prompt, affordably priced, and always returns my calls. 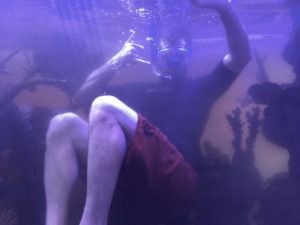 When I upgraded from a 90 gallon tank to a 210 gallon, I did not hesitate to have Justin handle the transfer and get all of the equipment needed. You can't go wrong with Las Vegas Profishionals for maintenance and anything else you need for your tank. Justin was awesome. I have a 55 gallon acrylic freshwater tank that needed cleaning. Las Vegas Profishionals was very easy to get an appointment and very reasonable. Justin was very professional told me exactly what he was going to do and answered my questions with no problem at all. I plan on using him for quarterly cleaning of my tank since he did such a great job. My tank looks wonderful! 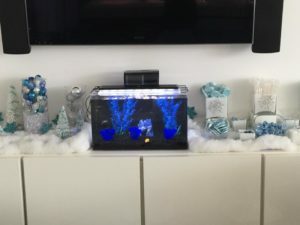 Las Vegas Profishionals is an amazing resource, not just for getting a crystal clear fish tank but for any information needed on how to care for your fish. Owning and caring for a fish tank is a big job, and for a first timer like me I am so glad I found Justin. I have had so many questions about fish behavior and what I can do to make my tank a "happy place," and he has excellent advice every time. I use the service every six weeks or so for my 29 gallon tank, and he cleans it so well the tank needs minimal maintenance (or none) in between visits. I HIGHLY recommend Profishionals' maintenance for any tank, large or small. 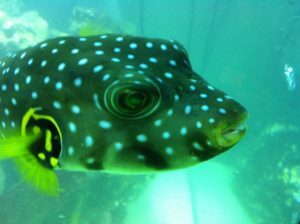 Las Vegas Profishionals is an aquarium maintenance company serving all of the Las Vegas valley including Boulder city. 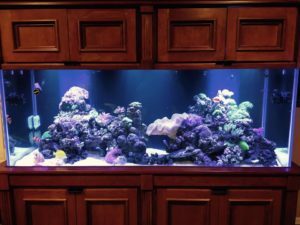 We offer service from a simple water change to designing the aquarium of your dreams. Las Vegas Profishionals has the know how and experience to tackle your aquarium project. Our service is second to none, and is service that you can count on, GUARANTEED! Give us a call or email us today and see what Las Vegas Profishionals can do for you!